Founded ten years ago, Just Glasses provides affordable and quality glasses that rival what is on offer from traditional high street opticians but for much less money. As an online retailer, we are often able to provide exclusive offers on fashionable sunglasses, reading glasses and ski goggles that are not yet available anywhere else. Welcome to the Just Glasses ski goggles range. 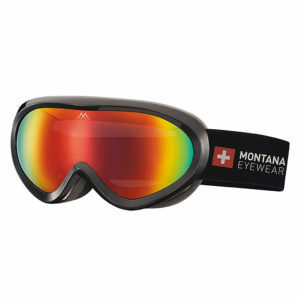 You can feel good on the slopes with our selection of ski and snowboard goggles for men, women and children. We promise you unsurpassed quality and affordability and supply a range of colours, shapes and styles from leading manufacturers. All you need to do is to decide which style suits you best. Unlike some online retailers, we offer a full range of customer service and a number of different ways to get in touch, including by telephone. While full product specifications are mentioned in the individual products descriptions, our friendly Birmingham team are here to help when you need us. 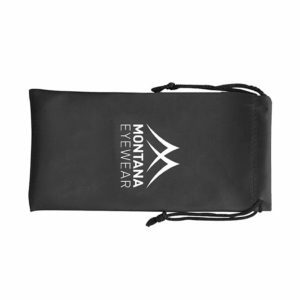 All our ski goggles come with a convenient matching pouch. It is best to choose your goggles before you hit the slopes, to make sure you have the widest choice and to avoid paying over the odds. As well as making sure they will fit with your helmet, face and head size, you should choose goggles with a lens tint that is specifically chosen for your circumstances, terrain, weather conditions and the time of day. For instance, yellow, amber and gold filter out blue light and emphasise shadows and bumps in the snow. They are particularly suited to foggy, moderate and variable light conditions. In bright light, lenses with cool tints such as copper, dark brown, smoke grey and dark green will improve comfort, while maintaining colour contrast on the slopes. Grey lenses are particularly good for allowing you to see colours. Finally, a shiny flash tint can help to reduce glare on very sunny days. 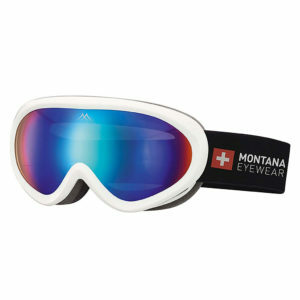 All our goggles from Montana are 100% UV400 protected and have an anti-fog lens coating to help maintain clear vision. 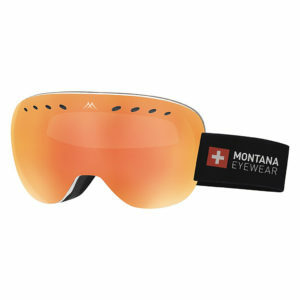 They are designed to provide maximum peripheral vision and to prevent glare when you are on the slopes. The insides have a foam interior and smooth air-flow system, enabling effective ventilation of fresh air and moisture within the goggles. The fitting is easy too, with an adjustable anti-slip elasticated band to get it set in your helmet just right. Our ski goggles come in a variety of lens widths, lens tints, shapes and sizes according to your requirements. 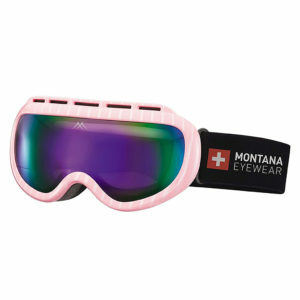 As well as unisex designs and children’s goggles (including designs for boys and girls), we have a model created specifically for women skiers. Our ‘Vice’ frameless ski goggles provide the ultra-wide view with minimum distortion on the slopes. 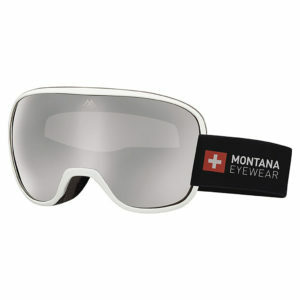 This helps your eyes to see the bumps, obstacles and ditches etc more clearly and enables a much smoother ski. Not just practical, frameless ski goggles are very much in fashion and come with the usual anti-fogging and glare-reducing technology. 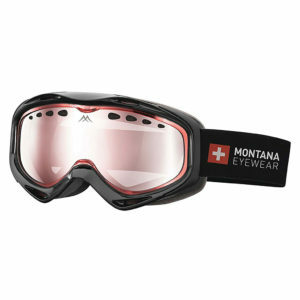 Little Sir and Little Madam children’s ski goggles are suitable for boys and girls aged over four years old. They have a cute jet black striped frame, with smoke lenses. The lenses are 100 per cent UV400 protected and have an anti-fog lens coat helping children keep a clear vision ahead. The inside has a foam padding and the layers of foam have a great ventilation system allowing the correct circulation of air. We all know how fiddly children’s ski goggles can be, so these have adjustable straps and are anti-slip so little ones can get their ski goggles just right. 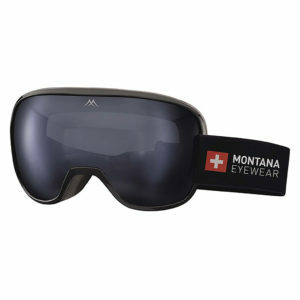 St Tropez is designed specifically for women to have a great fit without sacrificing peripheral vision which is so crucial when on the slopes. The curvaceous and strong frame with foam padding articulates for superior helmet integration. There are anti-slip adjustable straps, too, so you can get it just right.The wide pink front lenses have a coating for fog-free vision. As well as offering goggles with different lens tints, you can choose between a variety of frame colours and sizes. Choose models with mirrored Revo lenses to offer enhanced protection. The mirror coating enhances the effectiveness of the tinted lenses by reflecting sunlight so it doesn’t penetrate the lens. This lowers the visible light transmission (VLT) of the lens and makes it a great choice for bright, sunny days. Why buy ski goggles from Just Glasses? 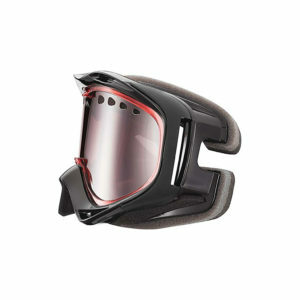 At Just Glasses, we promise you’ll find the most comfortable and stylish ski goggles at the best possible prices. Our staff have researched all the suppliers to hand pick those that offer the highest quality and value, as well as the most attractive and durable designs. As an online retailer, we are able to offer prices far lower than high street opticians, while ensuring that the products beat their offering. We guarantee that all glasses are made to the highest standards, and you are entitled to a 100 per cent refund if your glasses reach you damaged or if you are in anyway unsatisfied with the product (and return them within 14 days). Our website is constantly updated with the latest and most fashionable glasses, spectacles and goggles, and you can also search for offers on particular products or multiple purchases. Simply click the style you like and select the strength from our drop-down menu. Or choose two pairs from any of the collections to benefit from free postage. Order online and pay by PayPal or Credit Card, or email or call us if you’d like to find out more about any of our products. 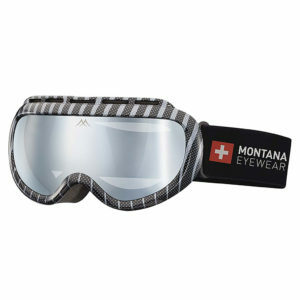 For affordable ski goggles for men, women and kids, browse the Just Glasses collection today.